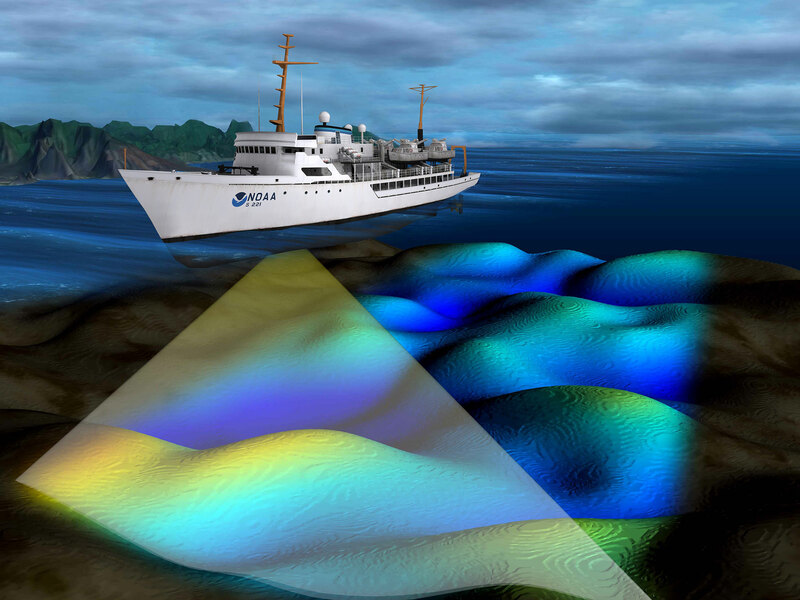 Multibeam sonar systems emit sound waves from directly beneath a ship's hull to produce fan-shaped coverage of the sea floor. These systems measure and record the time elapsed between the emission of the signal from the transducers to the sea floor or object and back again. 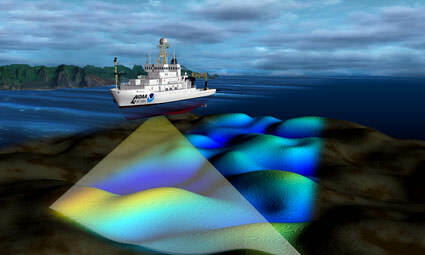 Multibeam sonars produce a 'swath' of soundings (i.e., depths) to ensure full coverage of an area.